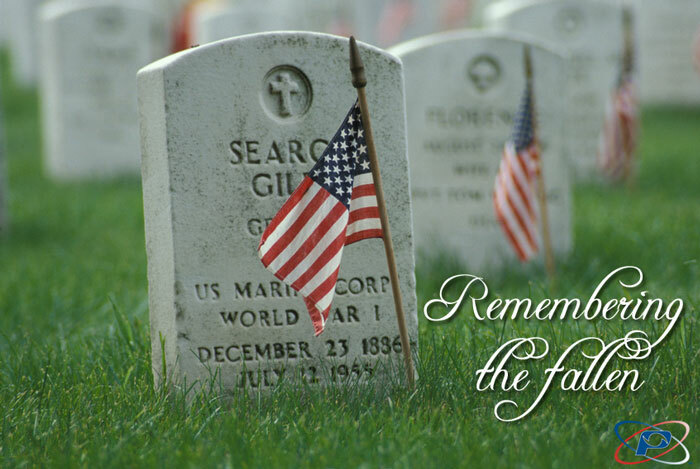 Memorial Day was originally called Decoration Day. It is a day for remembering those who have died in our nation’s service. We hope you and your family will take a few moments this holiday to observe the “National Moment of Remembrance.” This resolution was passed in December 2000 and asks that at 3:00 pm local time, for all Americans “To voluntarily and informally observe in their own way a Moment of remembrance and respect, pausing from whatever they are doing for a moment of silence or listening to “Taps.”” You can find out more about the history of Memorial Day by visiting: www.usmemorialday.org/backgrnd.html. As “Taps” began to play.